It’s Friday, which means it’s time for a Destiny 2 Xur location and items post! Do remember that Xur now appears at 5 p.m. GMT / 12 p.m. ET / 9 p.m. PT. Xur appears to players in the wilds of Destiny 2. His location changes every week, so players should watch out for where he’ll appear next. This weekend, players can spend 29 Legendary Shards on the Skyburner’s Oath scout rifle. Hunters can grab Celestial Nighthawk helmet for 23 Legendary Shards. Titans can pick up the Doom Fang Pauldron for 23 Legendary Shards. Warlocks can purchase the Wings of Sacred Dawn chest armor for 23 Legendary Shards. Players can also buy Fated Engrams, which contain a new not-yet-obtained Exotic, for 97 Legendary Shards. Three of Coins are also available for 31 Legendary Shards. The Destiny 2 Xur location for this week is on Io, close to the Giant’s Scar landing zone. In other Destiny 2 news, several top Destiny YouTubers have lessened their support of the game, Bungie is hiring a new community manager, and the developer explains the faction rewards throttle and incoming adjustments. It also seems like the next DLC will be Destiny 2 The Fallen Warmind, if these leaks are to believed. If you haven’t yet caught up on the weekly reset, here’s the new Milestones, Nightfall Strike, Eververse items, and more. 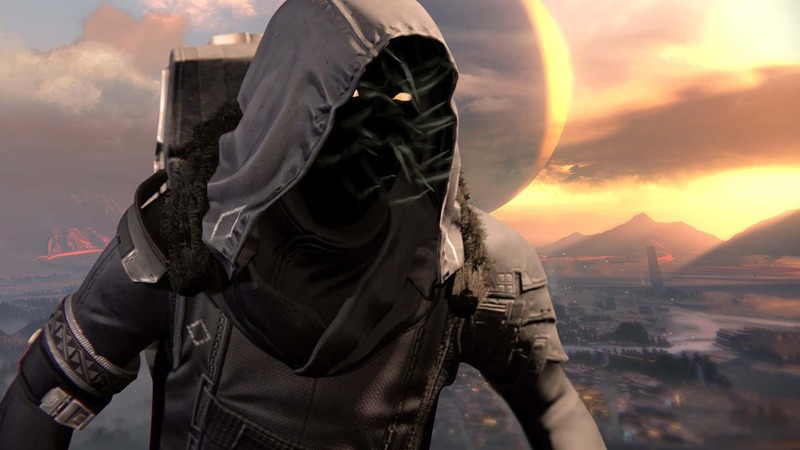 Will you buying anything off Xur this weekend? Let us know!